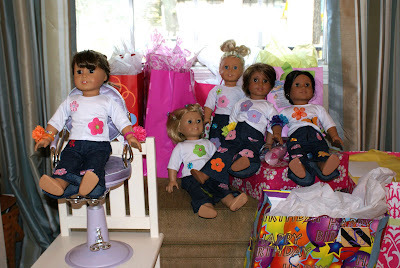 Nora's 6th Birthday Party was so fun! 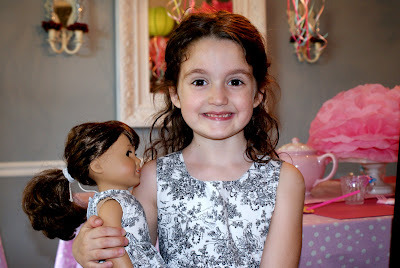 Even though this was her year to have a big party (we do every other year birthday parties) she really wanted a tiny tea party and decided to keep it simple and only invite the 6 girls from her class. I didn't complain because fewer girls meant I could do my thing without breaking the bank. This party really turned out to be quite thrifty. 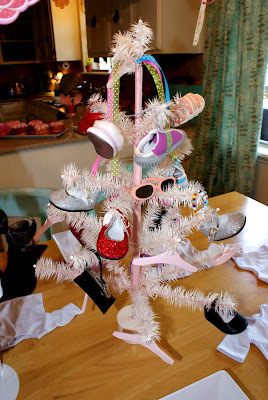 The decorations turned out so cute....so cute in fact that I still haven't taken them down. Our dining room is still filled with flowers and paper lanterns! 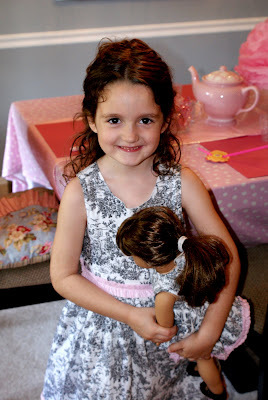 The Birthday Girl and her doll...found these dresses at Marshall's for a great price! 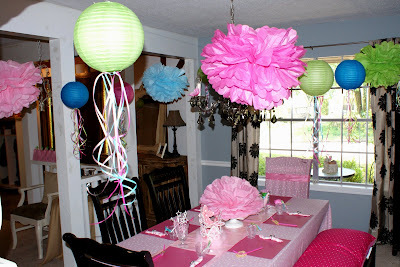 The Party Room...I took all the paper lanterns that I used to make Charlie's giant candy pieces for the Candy Land Party and tied ribbon to them to cuten 'em up and then made giant paper flowers to hang from the ceiling. The lanterns were only a $1 each and I got to use them for both parties! 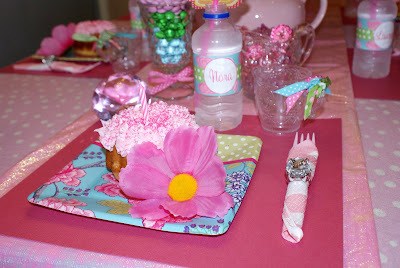 I used a pink sheet and a glittery plastic tablecloth for the table. 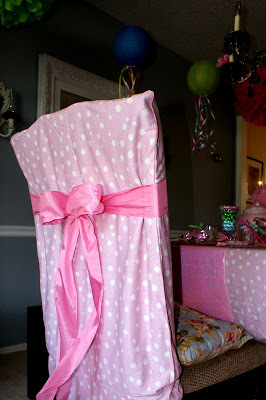 The Princess's Chair...I used the pillow case that matched the "tablecloth" as a slip cover for the chair and tied it up with a bow. 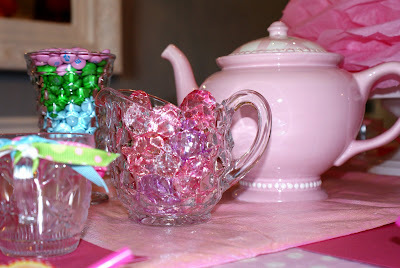 I found tiny plastic teacups at Hobby Lobby and tied ribbon on the handles. 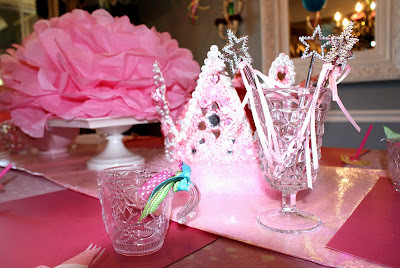 The cups of "pink diamonds" was one of the biggest hits at the party. I found them at Wal-Mart for a few dollars. Here is the fabulous crown that Nora's teacher made her last year for her birthday. It was perfect for our fancy table. 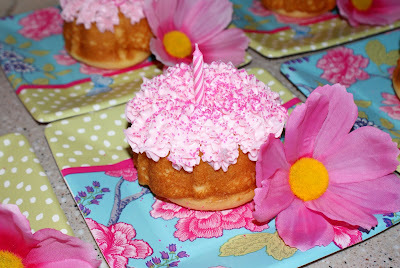 The Baker made mini bundt cakes and I decorated them with pink frosting and pink sparkly sprinkles. The napkin rings were diamond rings that I picked up somewhere in the party favor section. 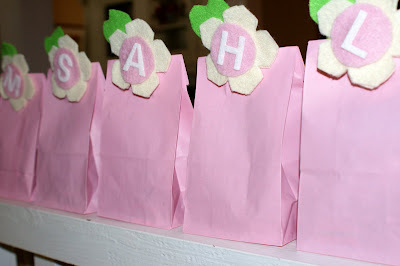 The Goodie Bags...topped off with super cute initial flower clippies made by Lollielicious, of course. It was such a great party. 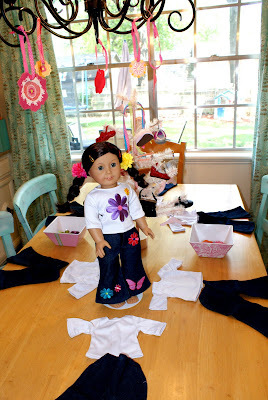 There was also a little "Doll Salon" for doing their hair and then the dolls had a tea party of their own. It was the most fun!!! 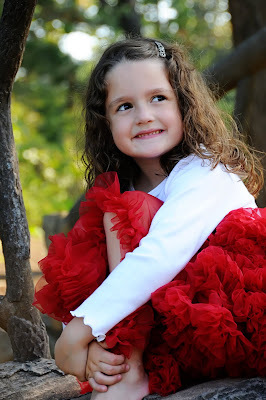 My beautiful baby girl is 6 today! SIX!!! I really can't believe it. It's definitely true though. She's been reminding us that today was HER day for months now. We've been counting down and talking about this very important birthday for quite some time. It's a big deal to be turning 6! It's an event that in her opinion requires multiple celebrations and lots of extra special attention. It's huge. Look at that face! Look at those huge brown eyes! 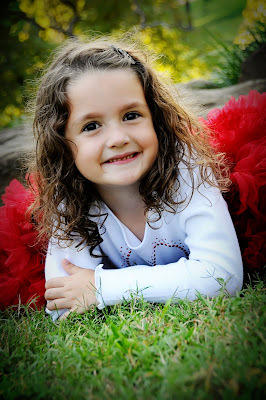 Look at those sweet curls that she will one day curse. She will...I speak from experience. I love this girl. Happy Birthday Shoogie! My college BFF Darcy just found out her littlest one is WAY allergic to peanuts so she gave me an assignment...Allergy Tags for backpacks or lunchboxes. 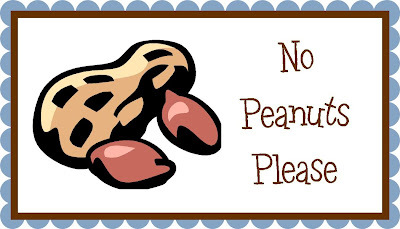 These can be customized for dairy, soy, wheat allergies, etc. 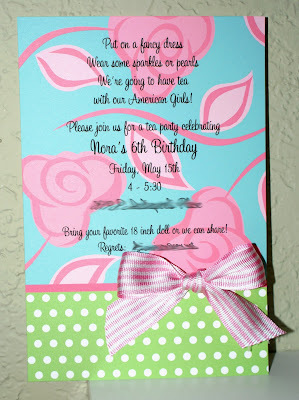 Pink, blue or green borders available. 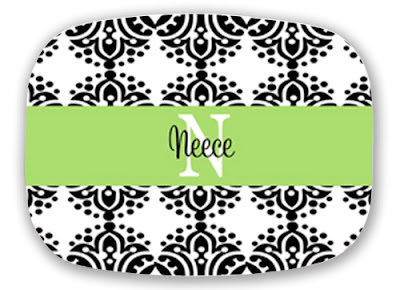 In addition to Trays, I now have melamine platters. I'm loving them!!! My mom wanted a "B" platter so this is what she got for Mother's Day. They are available in any of the PaperDoll designs. I really love these!! 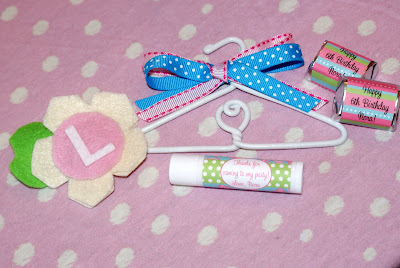 They are 2 7/8" in diameter and come with your choice of a plastic loop or a ribbon for tying. 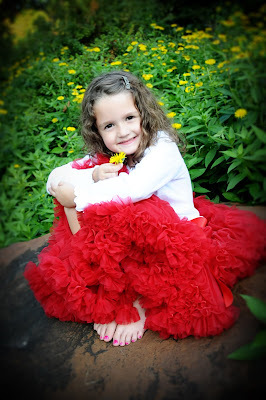 These pictures are not the greatest but they are so super cute! They will be in stock soon!!! Both sides can be printed. I'm trying to get my picture files cleaned up and realized I had tons of pics to post. Here's round one...it will take me a while to get caught up. I've got lots of birthday pics still to post. 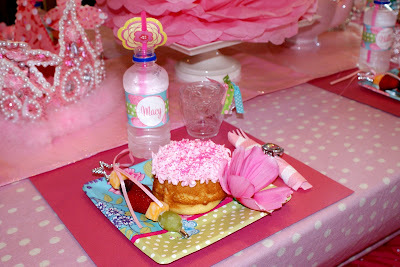 Nora's little tea party was fabulous!!! Very pink, very girly, very fancy! Can't wait to show you. The PaperDoll Studio is CLOSED! Teacher Gifts Teacher Gifts Teacher Gifts!! !